Migraine is a strongly disabling disease characterized by a unilateral throbbing headache lasting for up to 72 h for each individual attack. There have been many theories on the pathophysiology of migraine throughout the years. Currently, the neurovascular theory dominates, suggesting clear involvement of the trigeminovascular system. The most recent data show that a migraine attack most likely originates in the hypothalamus and activates the trigeminal nucleus caudalis (TNC). Although the mechanisms are unknown, activation of the TNC leads to peripheral release of calcitonin gene-related protein (CGRP), most likely from C-fibers. During the past year monoclonal antibodies against CGRP or the CGRP receptor have emerged as the most promising targets for migraine therapy, and at the same time established the strong involvement of CGRP in the pathophysiology of migraine. The viewpoint presented here focuses further on the activation of the CGRP receptor on the sensory Aδ-fiber, leading to the sensation of pain. The CGRP receptor activates adenylate cyclase, which leads to an increase in cyclic adenosine monophosphate (cAMP). We hypothesize that cAMP activates the hyperpolarization-activated cyclic nucleotide-gated (HCN) channels, triggering an action potential sensed as pain. The mechanisms behind migraine pain on a molecular level, particularly their importance to cAMP, provide clues to potential new anti-migraine targets. In this article we focus on the development of targets related to the CGRP system, and further include novel targets such as the pituitary adenylate cyclase-activating peptide (PACAP) system, the serotonin 5-HT1F receptor, purinergic receptors, HCN channels, adenosine triphosphate-sensitive potassium channels (KATP), and the glutaminergic system. Lars Edvinsson has given lectures on CGRP for Amgen, Novartis, and Teva, and has received minor grant support, though none pertaining to the current manuscript. Kristian Agmund Haanes has no conflicts of interest to report. No sources of funding were used to assist with the preparation of this review. Danish Headache Center. Headache inducing effect of cromakalim in migraine patients [ClinicalTrials.gov identifier NCT03228355]. National Institutes of Health, ClinicalTrials.gov. 2019. https://clinicaltrials.gov. Accessed 2 Apr 2019. Allergan. 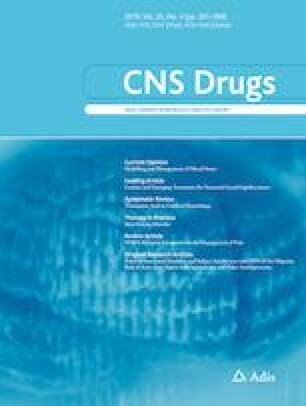 Efficacy, safety, and tolerability of multiple dosing regimens of oral atogepant (AGN-241689) in episodic migraine prevention [ClinicalTrials.gov identifier NCT02848326]. National Institutes of Health, ClinicalTrials.gov. 2019. https://clinicaltrials.gov. Accessed 2 Apr 2019. Amgen. Study to evaluate the efficacy and safety of AMG 301 in migraine prevention [ClinicalTrials.gov identifier NCT03238781]. National Institutes of Health, ClinicalTrials.gov. 2019. https://clinicaltrials.gov. Accessed 2 Apr 2019.